Earlier today, the Washington Supreme Court fundamentally changed how agricultural businesses must think about the Farm Labor Contractor Act (FLCA) and the way in which farming and other agricultural operations are managed in Washington. In today’s Saucedo v. John Hancock Life & Health Insurance Co. opinion, the Supreme Court concluded that when a business manages property used for agricultural activities, is paid a “fee” for the management services, and hires, employs, supplies, recruits, solicits, or transports agricultural employees in connection with the management services, the business constitutes a farm labor contractor and must comply with the FLCA’s requirements. The Court concluded that this is true even if the business manages all aspects of the farming/agricultural operation (e.g., making planting and harvest decisions), not just labor decisions. Accordingly, it is now clear that farm labor contracting activities (and the corresponding FLCA licensing requirements) are no longer limited to labor recruitment companies and contract labor providers. Instead, the FLCA extends and applies to the wider reach of management companies and, presumably, custom farming arrangements. In the course of issuing the Saucedo opinion, the Court not only confirmed that the payment of a “per acre” fee to a management company satisfies the “fee” requirement under the FLCA, but also implied that the reimbursement of costs to a business that hires, employs, supplies, recruits, solicits, or transports agricultural employees may be sufficient to satisfy the “fee” requirement, regardless of whether the business intended to make a profit from the management services or not. In making this announcement, the Court pointed to a lower court ruling in which it was determined that something as insignificant as reimbursement for a tank of gas was enough to fulfill the “fee” requirement. The Saucedo opinion, when taken as a whole, suggests that the scope of the FLCA is much wider and more pervasive than anyone could have guessed, potentially applying to relatively simple and historic custom farming practices, affiliated company paymaster arrangements, and benign situations where one neighbor helps another neighbor harvest crops. Because the penalties associated with violating the FLCA are so punitive (e.g., $500 per employee per violation regardless of whether any harm was caused), it is critical that all Washington agricultural businesses take appropriate measures to ensure that they and all other persons and businesses that hire, employ, supply, recruit, solicit, or transport agricultural employees that work on their farms and other agricultural operations are and remain in compliance with the FLCA, regardless of whom the employees are or will be employed by. 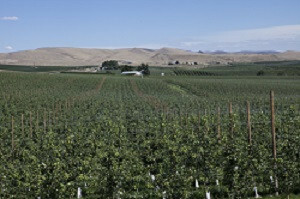 Nearly all farming and other agricultural activities conducted in Washington are affected by the Saucedo decision, including, without limitation, orchard, vineyard, hop, dairy, and nursery operations and custom farming arrangements. Affected businesses should immediately (a) obtain farm labor contractor licenses, (b) ensure the businesses they deal with are properly licensed (if required), and (c) begin complying with all applicable employee disclosure and other requirements set forth in the FLCA. Consult with your legal advisors regarding the legal requirements for complying with the FLCA. For more information, contact attorneys Dustin Yeager, Brendan Monahan, Sarah Wixson, Aviva Kamm, or Charissa Johnston of the Stokes Lawrence Agricultural Law Group. For more information from a prior post, click here. This post provides general information and is not legal advice or opinions on specific facts.